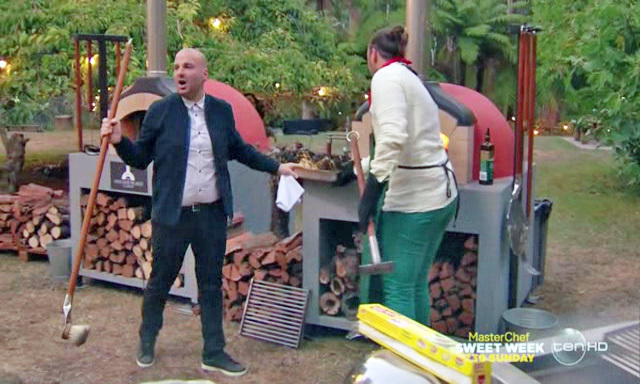 George Calombaris is one of Australia's top chefs and is equally recognised as one of the country’s favourite judges on MasterChef Australia, the highest rating program on local television. 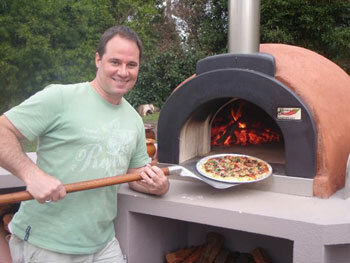 The oven behind him is a beautiful Melbourne Fire Brick Co creation and George is right: it is a work of art! 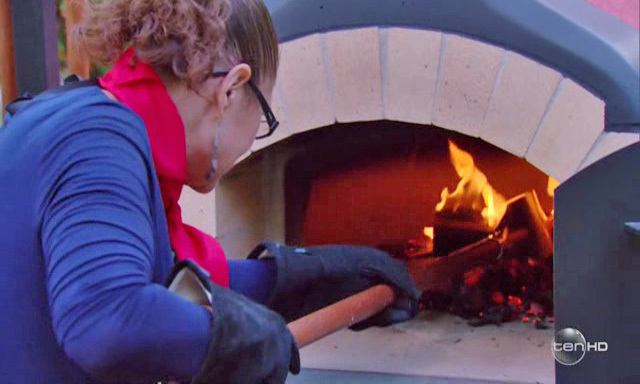 We are so excited it's the second time our Oven Tools have been on MasterChef Australia. DID YOU SEE OUR TOOLS? 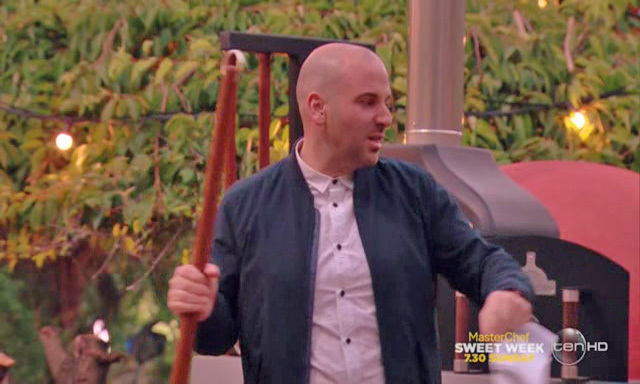 In this team challenge you can see our Oven Tools in the background of George Calombaris’s beautiful new Hellenic Republic Restaurant in Kew. 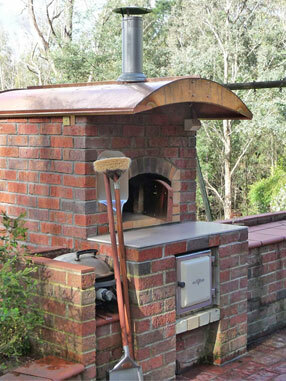 You can also see the stunning oven The Melbourne Fire Brick Co built for him. FINALLY, THEY’RE HERE!!! I’ve been talking about our NEW WFO BREAD RECIPES PAGES for an embarrassingly long time, but finally, they are done. 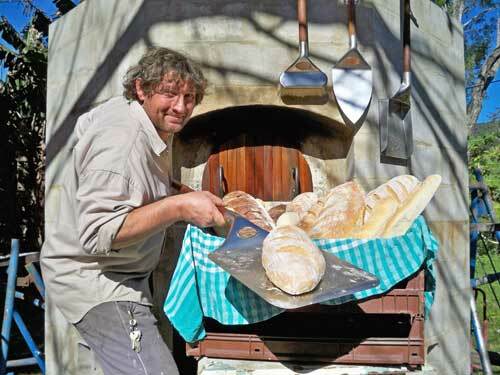 And even if I do say so myself, they are REALLY done – a better, more comprehensive bread making guide (in or out of wood fired ovens) you’d have to go a long way to find. Please check them out AND go make yourself some bread this weekend. You won’t regret it and it’ll make you fall in love with your oven all over again – IT’LL BE THE BEST BREAD YOU’VE EVER EATEN – promise! A special thanks has to go out to my patient co-contributors too: Scott Megee gave incredibly freely of his time and knowledge, Graham Pritchard let us hitch our ride to his star and (even though there’s no by-line for his contribution). 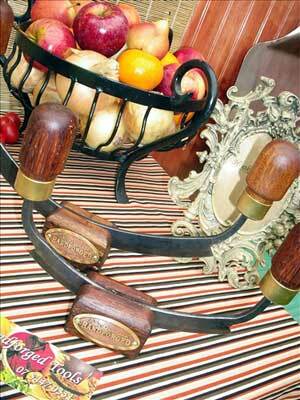 And buy yourself some of our lovely tools to do it with of course!!!! In the heats last night, he made a delicious roast chicken, stuffed under the skin with a mushroom duxelle and he also made stunning looking homemade bread and... he made it through to the next round! We SO hope he continues (it was very exciting seeing someone we 'know' on there!) 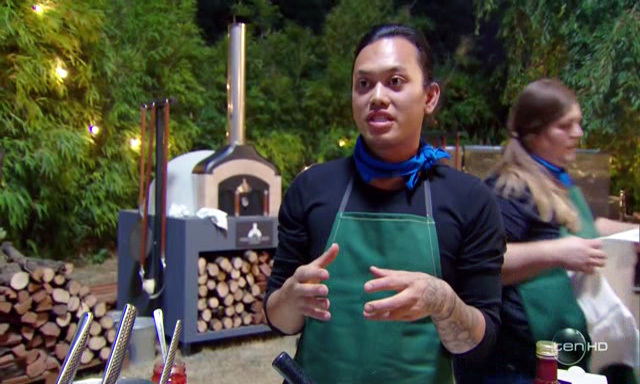 and we hope, as fellow oven fanatics, you'll give him your support too. GO FILIPPO!!!! 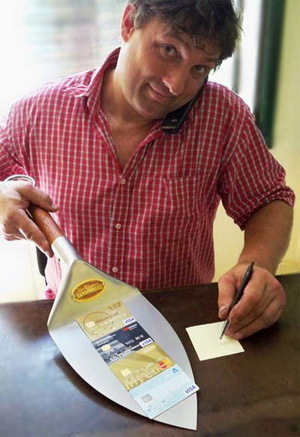 What Shovel Shape Are You? 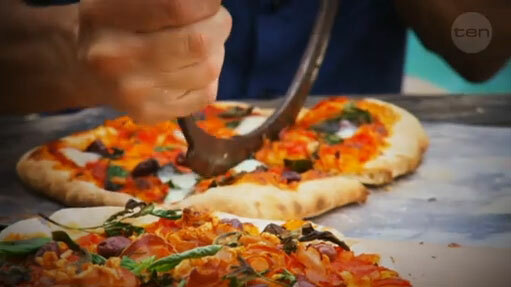 Are you a pizza party person? Do you do loads of loaves of bread? Regularly roast like King Henry VIII is coming to dine? 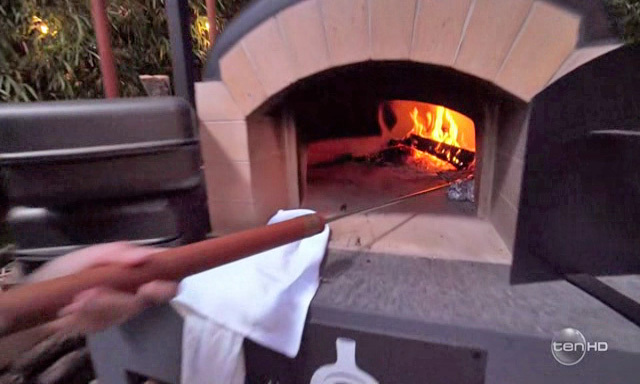 What you do in your oven effects the kind of shovel/peel you need and no matter what that is, we can cater for you. Likewise, if you have a dome oven with curved walls or a great big rectangular nuclear bunker; a big wide welcoming doorway or a tight tiny entry (not that there's anything wrong with that! 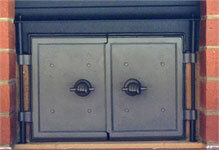 ), these factors are going to affect what tools you require and their size. To help you get EXACTLY what you require (and to save you from getting what you don't), WE HAVE A NEW SECTION titled (imaginatively! ): Which Tools Do I Need. Make sure you check it out before you order. Did you see our Tools on TV? 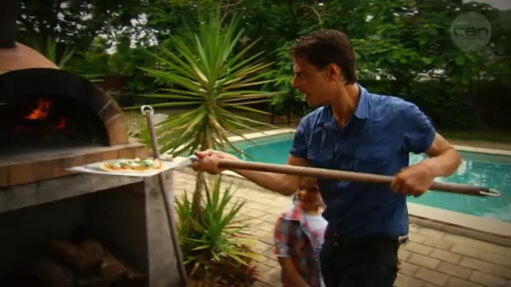 One of the new episodes of SBS's show Who Do You Think You Are is about Paul Mercurio (SBS Episode) star of Strictly Ballroom and host of Mercurio's Menu and apart from being a really interesting story, there he is, in his backyard, with an Alfresco oven from Sydney Heaters and a full set of our Tools! 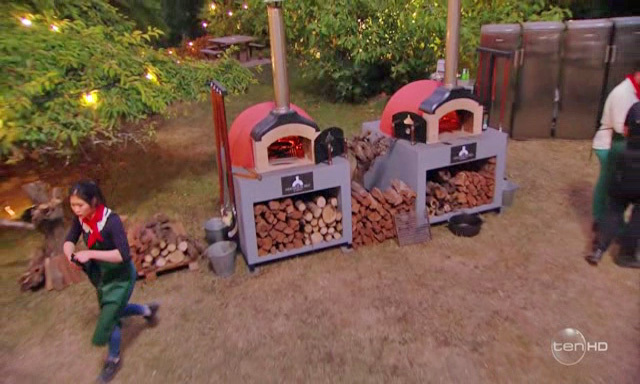 Apparently he made pizzas for everyone the day they were filming. 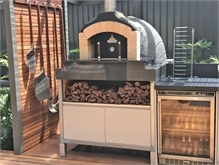 Whilst we think all of our customers are oven stars, we do have some nice stills taken on the day up in our Customer Photo Gallery. Backyard Ovens Two is out now! 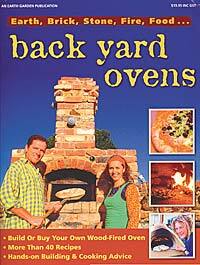 I know a lot of you have the little Earth Garden publication 'Backyard Ovens', well, the response to that was so huge that they've put out another volume. It's available at newsagents across the country right now and also online from the Good Life Bookclub. 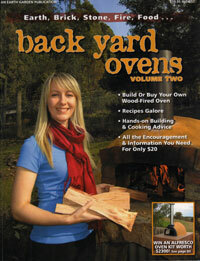 If you're thinking of building an oven, it's a another great resource (and at $19.95, really reasonably priced! 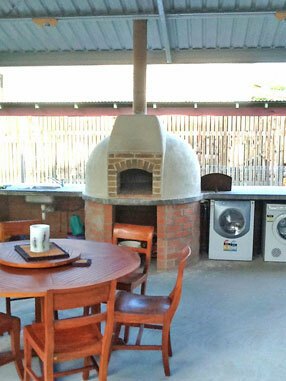 ), full of real people telling their oven building stories. There are also some recipes in the back and I am very proud to have 2 of mine in there – Pete's favourite cake, The Blacksmith's Breakfast Cake and a lovely Whole Roast Cauliflower done Indian style. It's a nice, light, interesting read – buy it for someone you want to inspire. 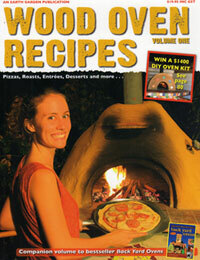 You might also like to check out all their other oven-centred publications, including Wood Oven Recipes. I don't know how it happened. I checked it all so carefully and I so wanted it to be perfect - not just for you guys - but for the lovely Earth Garden people who've been so good to us. Anyway, there should be one cup of sugar in the base and two cups of sugar in the topping (I know it sounds a lot, but it really is an enormous slab of a thing – those Blacksmith's work hard you know!). Please accept my apologies for this mistake and thanks to the lovely people who noticed it and emailed me - nice to know you wanted to try it! Late last year, we finally bit the bullet and put some YouTube clips up on our own Handforged Tools Channel. 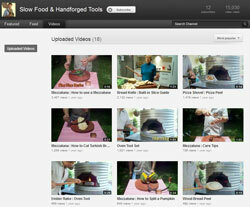 We concentrated on getting short clips of all the tools 'in action' (as we fillum people say!) first, but this year we're going to try and get up a few 'talkies'. Also, just recently we persuaded Robyn (our mate who does the bread knives) into letting us film her slicing bread using the Bread Knife with built-in slicing guide. That's worth a look too. Yup, finally, we have gone and got credit card facilities and can process payments immediately over the phone. And I should know - I actually called my brother up and made him do three small transactions from his card so I would have some hands-on experience before anyone put me to the test! Which reminds me, haven't paid him for that yet – wonder if he'll take a card? This facility also makes it much easier to process payments from overseas and it makes them cheaper for both sides of the transaction too – shoulda done this a long time ago! 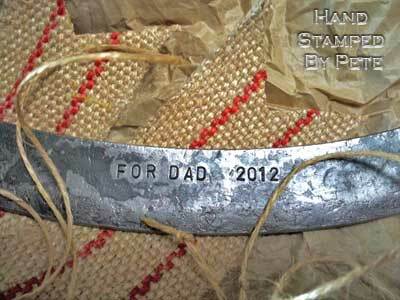 This Christmas just past we really noticed a big increase in the number of sales that were for gifts. It was clear that a lot of people who got ovens during the year have family and friends who pay attention and come Christmas time, those folk turned to us with great gratitude and relief because they were happy to have somewhere to shop for their 'special Christmas Challenge'. We had something to offer (and got to hear tales about!) 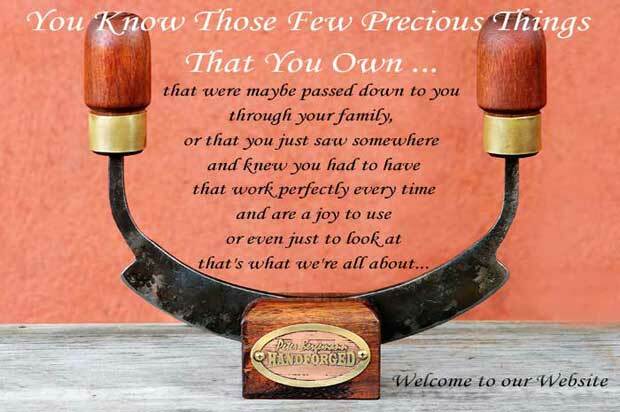 Difficult Dad's, Sister's Who Have Everything, Terribly Serious Cousins, Ecologically Sound Neighbours, Aunts Who Are Great Cooks, Gran Dad Gadget Collectors, Bosses Who Are Fans of the Bespoke. Anyway, the point of all of this is, we're getting a nice supply of gift cards (and even paper) together and we're happy to play (makes US feel good to help you delight someone! 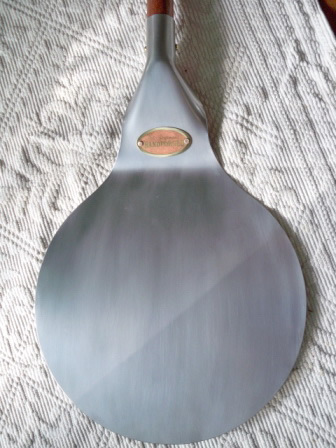 ), so between our unique products, the engraving and stamping you can use to customise your present with AND a nice card and wrapping, is there anyone in your world who could use a Bread Knife for their birthday or a Mezzaluna for Mother's Day or a Pizza Shovel for a present? If you've just got yourself a new oven this festive season and you want to try your hand at entertaining, the easiest and most delicious way to start is with a baked ham. 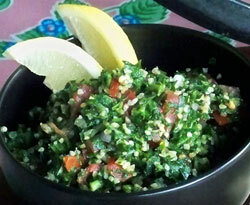 Please try our Baked Ham with Forest Salad and a Plum and Coriander Dressing!